Location and just not your typical home. So much character and owner had constructed with a little California Style. Vaulted ceiling in living room with vaulted wall of windows and beautiful organic stone fireplace. Formal Dining, kitchen with breakfast space, family room, master and two bedrooms on main. Half bath located to left of laundry room and shower to right Lower level has rec room, sunken-pit living area with organic stone fireplace and 4th bedroom. Still plenty of space to finish out in lower level. Detached double size garage, carport and upstairs is awesome for kids hangout or workshop. 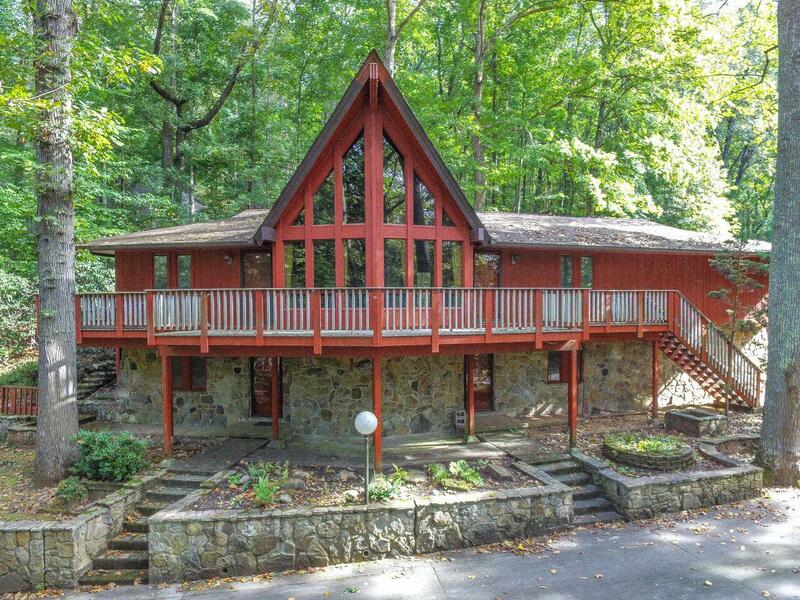 Property is sweet with mature trees, stone walls, patio, deck, privacy. Home has that 1970's flair and needs updates. Potential to make it a real show place.